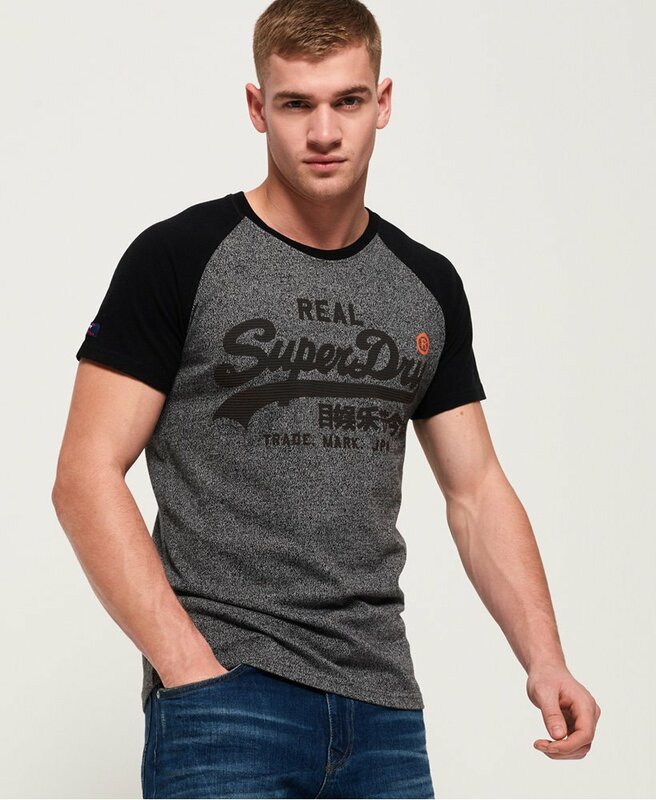 Superdry men's Vintage Logo 1st raglan t-shirt. A t-shirt is the staple part of any good outfit, and we're sure the Vintage Logo 1st raglan t-shirt will become a firm favourite. Featuring a classic crew neck and raglan style sleeves for a looser fit around the shoulders, this t-shirt is completed with a textured logo graphic across the chest and small logo badge on one sleeve.